PALMs, or Perceptual-Adaptive Learning Modules, are a revolutionary advanced learning technology using a PATENTED combination of perceptual and adaptive sequencing based on both accuracy and speed of learners to improve learning and retention of information over regular didactic methods. Developed by Dr. Phillip Kellman, the principal investigator at UCLA Human Perception Lab, and his team of researchers and supported by detailed studies and research, the PALMs product is the only learning technology that offers this adaptive sequencing based on speed and accuracy of learners’ responses with the ability to provide feedback. Med Insight LT has been at the forefront of researching how the brain learns for over twenty years. See below for details about why this patented technology works. And, see the PALMs Studies and Publications document with research, studies and applications of proven PALMs patented algorithm and design effectiveness in a variety of educational settings. PALMs offer, for the first time, systematic ways of teaching pattern recognition. PALMs targeting crucial domains in mathematics and science have been shown to have powerful, long-lasting effects on students' learning. PALMs learning modules target perceptual learning. Students gain the ability to “see" patterns and relationships in mathematics and other domains. Perceptual learning is an important component of expertise and often overlooked in traditional classroom instruction. PALMs help learners quickly develop deep understanding and automaticity in using difficult concepts and skills. 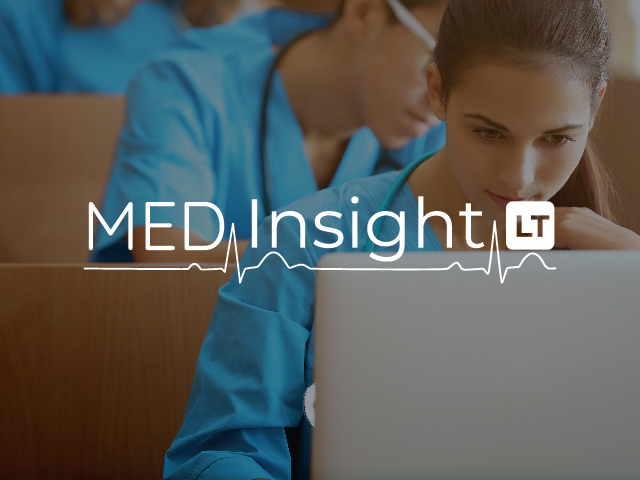 Years of scientific research in laboratories at UCLA and the University of Pennsylvania reveal that the adaptive learning algorithms used by Med Insight LT greatly reduce learning time and ensure strong retention. PALMs offer unique opportunities for rich feedback that is incorporated directly into the ongoing learning session. This immediate feedback helps learners master the patterns and relationships that underlie correct answers. PALMs set an objective standard of mastery for every category of items to be learned, allowing educators to monitor the status of each individual’s progress through to learning points/categories (e.g., diagnoses, anatomical identifications) and make sure that the learning experience is complete. In addition to tracking individual items, overall performance is tracked and monitored. PALMs, coupled with Assessments, offer unprecedented opportunities for exposing and giving additional practice in areas of the individual learner’s weaknesses. Once each category of items has become particularly well-learned – after several spaced, accurate answers, each made within a targeted response time – it is retired from the learning set for that session, thereby focusing the learner’s efforts on material that still needs to be mastered. The Sequenced Mode guides learners through a series of learning events: pre-test, training, post-test, optional further practice, and an optional delayed test. The Un-sequenced Mode puts learners in charge of their own learning style, allowing them to work on training modules or assessments in any order and as frequently as desired. Our administrator tools allow educators to create online schools and manage instructors, classes, and individual learners, as well as easily set different learning styles for individuals or groups. A Score Reporter benefits both learners and educators by representing every feature of the individual’s learning progress, such as difficulty in mastering each learning point/category, individual performance history, and more. This collection includes PALMs for training on interpretation of clinical tests related to diagnosing cardiac abnormalities. Examples of such tests are blood pressure determination, 12-lead ECG, bedside cardiac ultrasound, and transesophageal echocardiography. This collection focuses on training the vocabulary for describing skin lesion morphologies, configurations and distributions as well as identification and discrimination of common dermatologic disorders. PALMs for mixed skin types as well as those specific to dark skin are included. This collection uses PALMs to teach interpretation of common clinical tests and measurements made during gynecologic examinations, pregnancy and childbirth. Examples are interpretation of fetal heart rate patterns and colposcopy images. This collection aims to teach identification of normal anatomy based on CTs, plane field x-rays, MRIs, and ultrasound images as well as training interpretation of pathologies present in these images. Please take a moment to check out this brief overview of Med Insight LT PALMs Video. The game-type set up made the exercise fun. I found the module to be extremely helpful. It kept me engaged while I was learning the [dermatology] morphologies rather than staring passively at pictures. I wish more of these types of modules could be incorporated into the curriculum.